Lets face it, over the last couple of decades, there is a whole lot that has changed on dishwashers. Fancier electronics for the controls, some sound deadening/quieting features, and adaptations to the water jet system to produce better cleaning is about all there is. That’s because how a dishwasher operates is a pretty simple process and complicating it doesn’t necessarily producer better results. 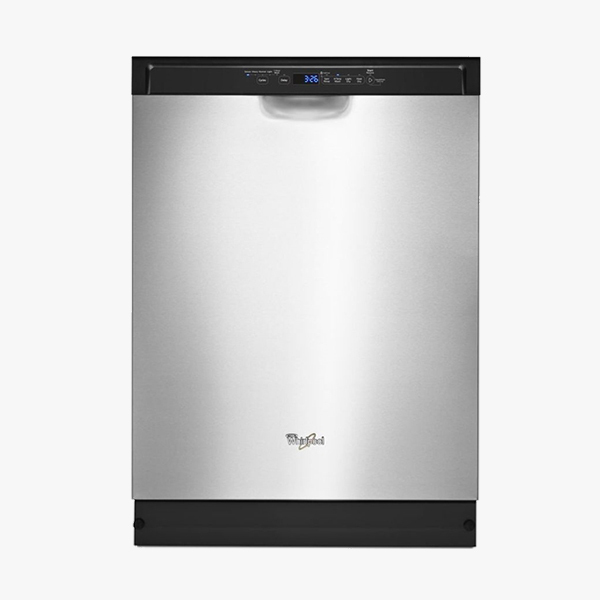 If your dishwasher is 20+ years old, has failed you and you’re looking to spend some money, you will see an appreciable value in newer models in terms of the previously mentioned cosmetic, sound, and cleaning changes. However, if you’re a little thriftier, having us repair your dishwasher can add some significant lifespan to an already-paid-for appliance. Fed by your hot water heater, dishwashers use hot water and your household 120v electricity to pound your dishwasher with jets of hot water (hopefully 140 °F or higher) and soap to dislodge food residue and ultimately clean your dishes. The electronics in the dishwasher regulate and operate the timing for the various cleaning cycles, controlling the water flow, drain, soap dispenser, etc. Like cloths washer, because the appliance combines water and electricity in single environment, we never recommend that people attempt their own repairs on a dishwasher.